Philosophy & Great Reasons to Work with Me! As a functional nutritionist and health coach, Marietta helps her clients see the whole picture. She has worked successfully with more than a thousand clients/patients like you, and watched them go from hopeless to hopeful. Many have grown and thrived in their improved quality of life, and some have gone into remission. That level of success, takes passion and commitment to dig deeper than just considering symptoms. It also takes an ear of compassion, a non-judgmental attitude, the ability to create a safe space, open mindedness, and sensitivity. She is passionate about helping others regain their health! She weaves together life experience, personal and professional, education, as a nutritionist, health coach, and Reiki Master, with gains from her own transformation of health challenges (see her story below), to coach individuals that are ready and committed to making lasting change with their health. 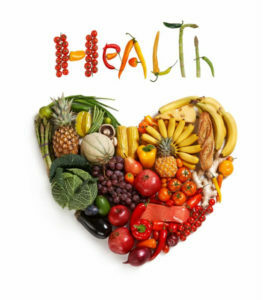 Functional Medicine Nutrition combines several disciplines: medical nutrition therapy, nutritional biochemistry, gastroenterology, nutrigenomics, food as medicine, a variety of diverse specialty diets, i.e., Paleo, FODMAP, Vegan, Diabetic, functional lab testing, routine blood testing, and an ability to coach and educate! Marietta combines all of the above with intelligence, patience, and sensitive support, cutting edge science, a health coach certification and consistent education to better meet her client’s/patient’s needs and goals. Her Experience & Education Can Help You! Her Masters is from Purdue University, with a Bachelors from Seton Hill University. She has taught at the University Level, published in Men’s Health, the Washingtonian, the Washington Post, appeared on TV and radio, given workshops, retreats, and presented on many health subjects to corporations and institutions, such as the NIH and the Smithsonian. She has held teaching positions, at Purdue University (Indiana), George Washington University (DC) and Montgomery College, Maryland. It has been her honor to also have worked with world class athletic champions. Her own cancer experience has beautifully transformed how she works with individuals. In 2004, she trained as a Reiki Master and Teacher. She has gone on to do post graduate studies in functional nutrition, health coaching, and motivational interviewing, along with many workshops, educational conferences, and seminars, in related fields. In 1995, I had been working in conventional medicine for 10 years as Registered Dietitian. In June, I was diagnosed with Leukemia, and given 2 to 2 1/2 years to live. At that time, Bone marrow transplant was the only chance at survival, and that was only 20%. My daughter was 5 years old at the time, and I had no intention of leaving the planet! I wanted to be around for her! Out of the 3 hospital choices I had, MD Anderson Cancer Center in Houston, Texas made the most sense. Little did I know, this would be a very frequent trip for many months and years to come. My transplant doctor, let's call him Dr. G, began genetically testing my large Italian family, for possible donors of bone marrow. There was no genetic match. Apparently, there had been intermarrying in the village that my Italian grandparents came from. Luckily, I didn't turn out retarded and neither did my daughter! From here, he began a search in the transplant registry. After a 6 month, he found a genetic match with a gentleman in Europe. I was excited and anxious! I wanted this to happen. I thought this would be my “new lease on life”. I find it interesting how emotional life events factor into logical, rational issues. Dr. G had just had a baby several weeks before my transplant case came up for review. Then connection between him just having a baby and my have a 5 year old, resulted in a no for the transplant. I was devastated. In hindsight, it was a gift. Dr. G sent me to the hematology wing, to Dr K. He was running a new chemotherapy clinical trial. I was evaluated, ushered into the study and started on the new chemo immediately. Every 28 days I was given a new pump filled with chemotherapy that put me in bed for 3 days. After flights to Texas every 3 months for 9 months, I went into remission. I was in remission for 2 years, and had to be taken off the drug because of the toxic effect it was having on my thyroid and kidneys. I was sent home with no drugs, no options, scared to death. After a few months, Dr. K called to enlist me in another study. This time, an injectible. It was a nightly ordeal. By this time I had gotten used to marinol (synthetic prescription THC) for my chemo side effects. It soothed me to sleep. That lasted 18 months, putting me into remission and back out again. Each time a new drug, I would think, this will be the winner. Only to be devastated once again. In September 1999, out of remission, I was sent home with the words, "live as long as you can, technology and science change quickly". That was real comforting...not! Once home, I thought, I'm a resourceful, intelligent person, and I'm not going anywhere. So, I put my brains and detective abilities to work. In the late 90's there were no yahoo or facebook groups. There were only message boards. So, I joined a bunch of leukemia message boards and we shared information from all around the globe. Story of Remission and Gratitude! Chatter started about a doctor that was funding his own successful study in Oregon, because no pharmaceutical company believed in him. I dug a little deeper, called his research lab to find out more, and they informed me that a phase II clinical trial was starting at 3 different locations in the US, and MD Anderson was one of them. I called Dr. K, my leukemia doc, and asked him about the phase II trial. He confirmed the December starting. But, he said I was not a candidate because I had not failed interferon medication, which was a criteria for the study. Well, in my unconventional wisdom, I decided that these were very arbitrary guidelines, so I did what any strong-willed, determined woman would do, I stretched the truth a little, and got in the study! What a true blessing it was, because friends I knew from message boards were dying. I was very sad and happy at the same time. I entered the study having no idea what would happen. But having been in 2 studies already, and not having any hopes, nothing to lose, I decided to go for it. In June of 2,000, I went into remission. I am still in remission today! I continued the research in cancer nutrition and wellness that I had started when I was diagnosed. Originally the research had been aimed at helping myself to survive. Now, things were shifting in my life. I had to concentrate on getting stronger after 4 years of chemotherapy. As my strength increased, I started to work with patients/clients again. I used the knowledge I had gained from my research, my experience, my growth during my cancer journey. When it was time to return to being a Dietitian, my mindset, and my perspective on health and healing had changed drastically. I didn't know where to go from there. On my own journey to healing, I met a physician/acupuncturist that offered to show me a new way to work with clients/patients. Dr. Leanord Wisneski, became my mentor. He was practicing Functional/Integrative Medicine, before there was a name for it. It was an entirely new paradigm in working with health conditions;working with the individual as a whole system, instead of treating each symptom separately. I owe him a great debt of gratitude for showing me the way. Once schooled, I realized this was my new way to practice nutrition and wellness. I have gone on to do post graduate studies in the field, along with many workshops, seminars, and in Wellness coaching. Today, when I work with someone, I put it all together.